“The people who have the opportunity to alter the field, and to create an open world for the future, are the parents. Those are the most powerful beings on Earth right now.” Oprah says to Charles at the 1:53 mark. 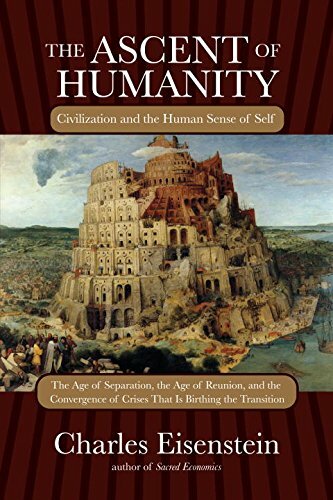 Charles and Oprah sit down and discuss the themes of civilization, human cultural evolution, how change really happens in the world, and the importance of interbeing on OWN’ Super Soul Sunday on July 16, 2017. Read Charles’ essay about the appearance here. Watch the full Soul Sunday episode here. Transcript by Marcy Gold. See Charles’ full video collection here. 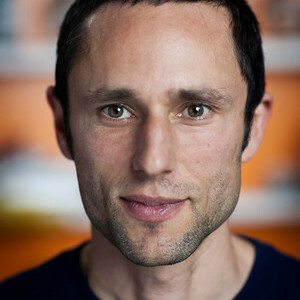 Oprah Intro: Today, on Super Soul Sunday, author, scholar and speaker Charles Eisenstein. 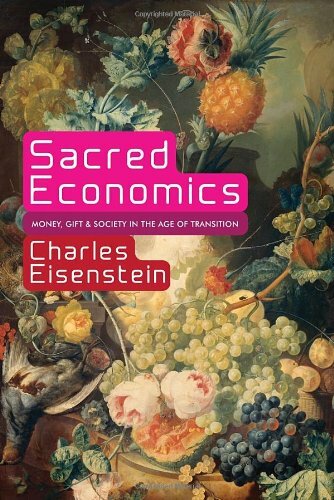 With a unique perspective on our culture, Charles has become known for his challenging and thought-provoking online essays. He urges readers to re-think the fury and indignation erupting between so many Americans. C: Everything that’s happening to the world is happening to us and whether or not we believe it, we can still FEEL it. O: And understand that what lies beneath the rage is actually a painful longing for reunion. C: Martin Luther King basically said that. You can use hatred as a weapon but you cannot use hatred to defeat hate. O: So the reason I start with this is because everywhere you go, every conversation you’re in, people are talking about this, but they’re not able to articulate what it is. So we’re looking at our current political climate. We’re looking at living under a barrage of daily reminders, really, of how angry, how divided this country has become. It feels like we’re experiencing right now, a really teachable moment. In that, what I believe is that if we’re not able to shift to some form of empathy and compassion, that we’re going to move into a level of lessons that we really aren’t prepared to learn right now. So, do you believe our nation has been broken open? And part of that is what you were just talking about. The polarized oppositional, hate-based politics which is basically two sides holding on tighter and tighter and tighter to their polarized opinions about each other and their superficial diagnosis that the cause of the problem is those ‘bad’ people. C: On both sides, yeah. I mean, each side thinks that it’s the other side who is the ‘bad’ guys. And what I’m seeing is this pattern. This is I guess, part of the mythology of our culture, it’s a formula for making the world a better place. And the formula says, first find the ‘bad’ guy, blame something and then go to war against that. Control that thing. O: That’s the basis of story-telling. You know, you gotta have the antagonist, you gotta have the thing that you’re fighting against. You gotta find the hero that you’re following, you know? C: Right, yup. Same pattern in almost every action movie. And what’s missing here is the deeper matrix of causes, that is much more complicated. So two things happen when you realize the real causes. One is that you don’t know what to do. Because the usual solution of finding the ‘bad’ guy and fighting the bad guy doesn’t work. So you don’t know what to do. I would love to see some politicians run for office and say, ‘Health care, immigration, I have no idea what to do.’ Like, wouldn’t that be refreshing, if someone just said, ‘I don’t know what to do’ instead of having to have a plan which is going to be a reiteration of policies based ultimately on this war thinking that don’t work. And the second thing that happens, is that you realize that I’m part of the problem too, or we’re part of the problem too. It’s not just some other person. O: I don’t think people realize they’re part of the problem. That’s why I’m sitting here talking to you today. Because I think that what you’re doing with your essays is trying to get us to see that we ARE part of the problem. Seeing our role in the problem because I think we’re still in that, ‘It’s THAT guy, he’s the one, if only they just straighten their stuff out (C: right) if they come to their senses, or if they weren’t ‘deplorables;’ whatever word they want to use to try to put the other side, the other people who don’t think the way they do, down. So what you’re ultimately saying in the essay on ‘Hate, and Grief and creating the New Story’ is we’ve gotta stop the hating. C: that means that there’s a deficit of understanding and this is what I would call the ‘new story’ or the ‘next story’ of Interbeing that says that in some sense we’re all one. If I were in your situation, then I would do as you do, and if I think otherwise it means I don’t understand your situation. O: So the important thing, the question I thought was so vital that you brought out in your essay on ‘hate and grief and our new story’ is: What’s it like to be you? O: Which is fascinating to me because as I’ve sat in this chair in various forms, in various chairs throughout my career, that is really what I’m seeking to find when I sit down with a person, is ‘what’s it like to be you?’ And you’re saying we each need to ask that question of ‘the other’ and ask it not in a rhetorical sense but really from a point of view of what IS that like to be you? C: Even if we win the battle we’ll lose the war. Like you might be able to win the battle, say politically by arousing so much anger, indignation and hatred against the other side that you overcome them in the next election but what you will have done is strengthen the ground conditions of hatred. Martin Luther King basically said that. You can use hatred as a weapon but you cannot use hatred to defeat hate. O: So you wrote an essay as we’ve been talking about, after the presidential election asking readers to stop feeding the hate that stems from thinking that they are better than anyone else because you believe that all people are suffering from actually the same wound. So what do you think is the world’s greatest wound? C: I call it the wound of separation. That it’s the felt experience of being cut off from all that we’re meant to intimately connect to and then from that place feeding the hate. You know, online comments putting someone else down, it kind of almost feels good to make jokes at the expense of someone else but does it REALLY feel good? O: I think it feels good in that moment for people. I think there are people who feel really good when they can get off on a line on social media and they think they actually hurt somebody. But I think this reality-based culture do whatever is necessary, say whatever you need, you come out the victor no matter what, at any expense, I think it’s trained us to believe that being snarky is fulfilling. O: And you’re saying all sides are feeling this underlying grief and that it’s not political even though people might have used their power to vote and acted politically but the feelings that people have, this feeling of separation, of not being valued, of not being important, of not mattering in the world is pervasive on both sides. That’s what you’re saying. C: That’s the water in which we swim. O: As someone who studies human cultural evolution you suggested that profound change happens only through collapse and right now for millions of people the idea of what’s normal has come unhinged, as you say in your essay, how so? C: And you get sick you go to the doctor, the doctor fixes you and you participate in this grand project of civilization. And you’ll be ok. That story on every level has been disintegrating; it’s not working anymore. We don’t have the technological utopia that was promised to us, back in the ‘50s and ‘60s, you know, when we had these visions of the future with an age of leisure with robot servants, space colonies, the cure of all diseases. It looked like we were going to do that, as one disease after another was conquered. But since then, we’ve had all these new diseases arise, auto-immune diseases, that, we have no idea how to solve, no idea how to cure. And in politics too, like the story of American democracy is supposed to work, or the deeper narrative of ‘America, land of the free, home of the brave’ bringing peace and democracy to the world. All of these are getting harder and harder to maintain. One thing that happens before it really breaks down, is that you hold on even tighter to the story that’s not working. And that might be part of what’s happening politically today and at some point, you just can’t hold on anymore. O: So was it you who once said that hate is a bodyguard for grief? C: Yeah, right, so something really hurts and that hurt is channeled through a story of blame and it becomes hatred. But if you channel it through a different story or not through any story at all and you just feel it, then it doesn’t become hatred. 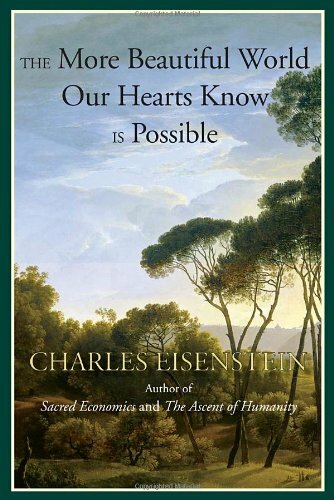 O: Charles Eisenstein is the author of four books including his most recent, ‘The More Beautiful World Our Hearts Know is Possible.’ I love that book title. 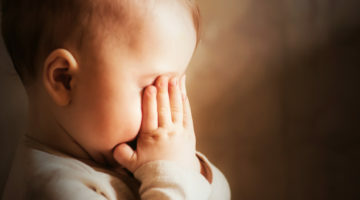 His premise is that no matter how disconnected we all are feeling, every person we encounter, every experience we have, positive or negative, mirrors something inside ourselves in all forms, social media posts, news headlines, even something as simple as a conversation. 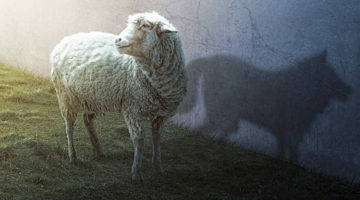 Charles believes your individual being partakes of all beings in every moment you encounter. O: So what do you mean by we’re just not separate individuals? C: Well, we kind of live in a mythology and by mythology I mean the story that answers basic questions, like, ‘Who are you?’ ‘What’s the purpose of life?’ ‘What’s real?’ ‘How do you create change in the world?’ ‘What’s the purpose of humanity?’ These are really basic questions that every culture asks. O: Yeah, I actually ask them on this show. C: Right so health comes through conquering bacteria or conquering nature, even your own nature. Like health, virtue, wealth, etc. comes through discipline through exercising control over yourself over your desires perhaps. 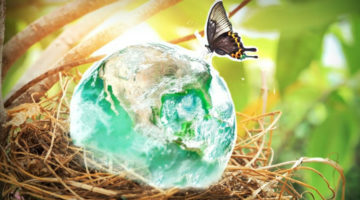 So, it’s the same pattern on an individual level, on an economic level, on a political level and also on an ecological level, the human relationship to the world. So that’s kind of the big picture. Because these are the myths that condition us to see the world. O: So what you’re saying is, this is the way we have been operating up until now and that we are actually in the midst of creating a new story but most people are not conscious of the fact that we’re creating the new story and that’s why we’re in so much confusion right now. Because the new story is evolving and a lot of people aren’t aware that the new story is evolving. O: or we actually know more about who’s on the cover of People Magazine or we know more about the lives of people you don’t know and will never meet, than you do your next door neighbor. C: Right, so we feel lonely. Like if we’re not actually our separate selves then our beingness, our sense of being in the world, depends on our relationships. And when our intimate relationships are only in the family, I’m not talking about sexual intimacy, I’m talking about really being known: when we don’t know our neighbors and we’re not participating in the natural world, in an intimate way, then we feel alone. We don’t even know who we are. There’s a deficit of identity when we’re shrunk down into these little separate selves. O: And it’s interesting because you have been feeling this; I think you call it in ‘The More Beautiful World Our Hearts Know is Possible,’ (what a beautiful name for a book, actually) you call it the sense of wrongness, that something is wrong, you feel that there’s a wrongness going on and you’ve been feeling this your entire life, even as a little boy. C: Yeah, authority figures are telling you that, you get an A if you do well on those worksheets and if you walk outside, you get in trouble and you get sent to the Principal’s office, just that simple. So that knowledge I think, for many people is a lonely knowledge; this knowledge that life is supposed to be more authentic, more intimate, more real and this kind of low-level suffering that we take for granted, or for many people, HIGH level suffering that we take for granted, it doesn’t have to be like this. O: And this low-level suffering, another word for suffering you use is separation, this feeling that you’re disconnected, even though you are in a room or in a world where you are engaging with people all the time, but there’s this low-level sense of disconnection from communities which is what you’re talking about. O: And you write that “When the conscious mind cannot find a reason to say no, the unconscious says no in its own way.” What do you mean by that? C: Yeah, how do you create a movement? People say that, but real movements seem to start unintentionally. And I think it’s more true that movements create us. Someone goes out and plants a garden or builds a little house for a homeless person or does something like that, other people then say, ‘Yeah, that’s a good idea, I think I’ll do that!’ And it becomes a movement. O: And these little, small acts are like acts of prayer, don’t you think? When you do a small, kind thing. C: You don’t know how it’s going to affect the world, but by doing it, you’re making a statement of what kind of world I want to live in. And I think it’s a real mistake to condition these things on, ‘OK, let’s make sure it can go viral. Let’s make sure it can scale up.’ Because most things will never scale up in any predictable way. And I think the most important things that people are doing in this world are those that are invisible, even thankless. O: I was definitely going to say the parents, the people who have the opportunity to alter the field, and to create an open field for the world for the future are the parents, those are actually the most powerful beings on earth right now, I think. C: Yeah, anybody whose doing something out of love. O: So this is the new story we need to acknowledge and become conscious of, in order to step into what is the next evolved stage for us. Is that what you’re saying? C: Yeah, and that it’s already happening to us. This expansion of consciousness, because the shields, the barriers, that we’re maintaining to NOT FEEL, we can’t hold those up anymore. Reality is breaking through. Part of the political, economic, environmental crisis is that breakthrough. It’s an initiation for our society, for humanity. C: It’s going to, it will actually I can say that I accept the new story but as far as how I actually live, how I actually speak, how I actually relate, maybe I’ve got it maybe like 1%. But I like to think that by the end of my lifetime, I’ll be able to say, we’ve turned the corner. We’ve turned the corner. Things might be even worse, in some material measurable ways, but we kind of get it now. O: That we’re all connected? 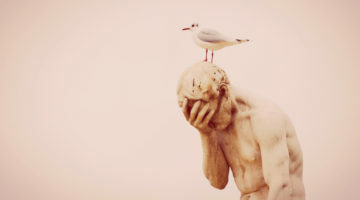 O: It’s why you can see a video like I saw the other day of a pelican wrapped in plastic, trapped in plastic, and I started to tear up because there’s a part of me that is so connected to that pelican, it felt like that thing was happening to me. C: It’s happening to you, yeah. Everything that’s happening to the world is happening to us. And whether or not we believe it, we can still FEEL it. That’s why it hurts so much and we don’t even know why. O: Yes. And the reason why we are so separated and feel so isolated and lonely in this separation is because we’ve numbed ourselves to the feeling that we are all connected. Everything is geared to pull you away from the idea; [so] that you are not connected that you are separate. C: So the story basically says that if we can only insulate ourselves effectively enough, build a high enough wall, a good enough surveillance system, strong enough prisons, then we can keep the suffering out. But it’s not true and we’re learning that the hard way, that if we destroy the ecosystems, then our own health is going to deteriorate. It’s inescapable, we’re all connected; that’s what we’re learning through a kind of cultural initiation. O: The only people that seem to get it right are children. C: Yeah, we’re all born knowing, that we live in a magical world, that we’re all connected, yeah, it’s an innate knowledge. C: That’s part of it, yeah. O: OK what are some of the principles of Interbeing? I remember having a conversation with Thich Nhat Hanh who also talks about this a lot. C: I think he might have actually coined the term, Interbeing, but it’s a really natural word to use because it’s not just interdependency or interconnection; it’s that my very existence depends on the existence of all beings. So if a species goes extinct, something dies in me. I become poorer. O: How then do we start to shift, I mean, I hope everybody does to your website and reads the essay that you did on ‘Hate, Grief and a New Story’ we need to tell ourselves but how do we begin to shift from what you call a culture of judgment to a culture of empathy? How do we do that? C: It’s that you actually care about healing racism. So you want to REALLY understand it and not just get the ego gratification of saying you’re wrong, I’m right, I’m good. Like you demonstrate you’re ‘good’ by being on the side of good in the war on evil. We’ve had the war on evil now for several thousand years, has it worked? O: How’s that working for ya? Eh? C: Yeah, right. Time to try something else. Yeah. O: You believe that A More Beautiful World Our Hearts Know is Possible (love the title) is closer than close, less than 60 seconds away. So how can people find intimacy, connection within one minute of searching? You talk about it here. C: Probably most people have had those experiences, it might be at the bedside of a dying person or having a deep spiritual experience where you’re like ‘Oh! It’s all here already’ and everything is a miracle! We have these experiences. I think what I was referencing, what you were reading is the experience of gazing into someone’s eyes, you know, and you see ‘oh, you’re the same being I am’ gazing out of a different set of eyes and you can have a really deep experience that way. O: Yeah, when I read that I thought, you are so right. We go through life and we don’t even allow ourselves the experience of gazing into a person’s eyes. I started thinking about that. How long do I actually look into a person’s eyes, it’s almost in our culture considered invasive, you’re not supposed to continue looking into someone’s eyes. You don’t look at a person’s eyes long enough to realize ‘Oh, I’m in there and you’re in here.’ It’s kind of like, ‘how you doin’? Keep moving. C: Because if we did that, I think the whole apparatus of our society would stop working. Like it’s uncomfortable for a reason. It’s uncomfortable because the world that is so familiar cannot accommodate that amount of connection and intimacy; it’s actually kind of a threat. It says that the level of joy and intimacy that you’ve settled for, is a lot less than what’s possible. We’re being short-changed. And deep experiences like that are in a way, kind of threatening and sometimes people have an experience; could be a heart attack or something that really brings them into touch with what is real. O: Usually it’s when something has gone wrong when people take the time to actually look in the eyes of a loved one and really see them. Yeah, that is a really interesting point you brought up. And so, just taking the time to look into somebody’s eyes for sixty-seconds changes the vibration, the energy between the two of you regardless, doesn’t it? C: Yup, and it kind of reconfigures what normal is. 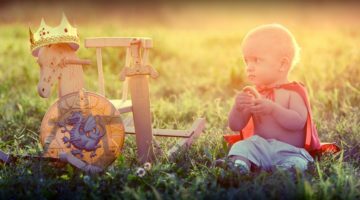 When you have an experience like that, like a lot of people if they have a near-death experience or a powerful transformational religious experience, they go back to their normal lives but those lives no longer seem so normal. And reality as they’ve known it, no longer seems so real. And so the hold of the old story is loosened. O: What can help change this ‘us’ versus ‘them’ mentality into realizing that we’re all in this thing together? What we’re talking about here, looking at each other in the eye and what else? C: I think anything that re-humanizes other people. Sometimes people do processes where they bring people on opposite sides of a conflict together into a room and create conditions where they can connect with each other’s humanity and the conflicts become, not irrelevant, but they’re put in a different light. Because when you see your enemy’s humanity, then the operating assumption that had powered the conflict may change. O: And what do you envision as our new story? You’ve seen glimpses of new ideas that give you hope. Can you share some? C: Pretty much anything that is called ‘alternative’ or ‘holistic’ is basically anything that says that ‘yeah, we’re connected. We’re interdependent. Your well-being will bring my well-being. More for you is more for me. It’s the mentality of the gift, of generosity. What I give to the world will come back to me somehow. Because we’re not really separate. Other cultures had this. Ancient cultures, indigenous cultures. In those cultures, your well-being, your wealth, your status, depended on how generous you were. So you could give everything away and you’d know you’d be OK because people would take care of you too. So you were at ease. You felt at home in the world and you saw this in nature as well. You saw every being not trying to out-compete all the others but every being offering a gift toward the health and evolution of all things. C: Yeah. We’re all really really close, we’re already there in a new consciousness. So, we need to help each other. You know, you have this breakthrough, yes, I’m going to devote my life to this thing I love, but then the voices from inside and outside say, well that’s just irresponsible. That’s impractical. C: Yeah, don’t be naîve. But we need people to say, you’ve gotta trust that. O: Your inner knowing, your inner being. O: Well, thank you for reminding us of The More Beautiful World Our Hearts Know Is Possible. Thanks Charles.